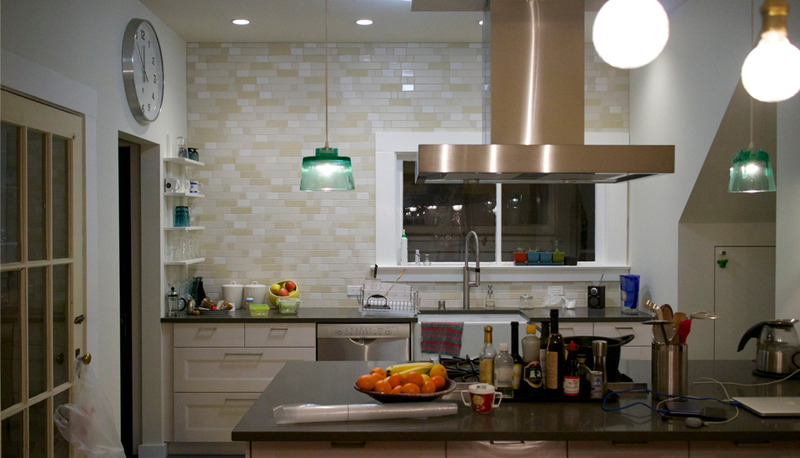 This modern home remodel included an open concept kitchen overhaul, the addition of a first floor powder room, and a second floor bathroom expansion and remodel. 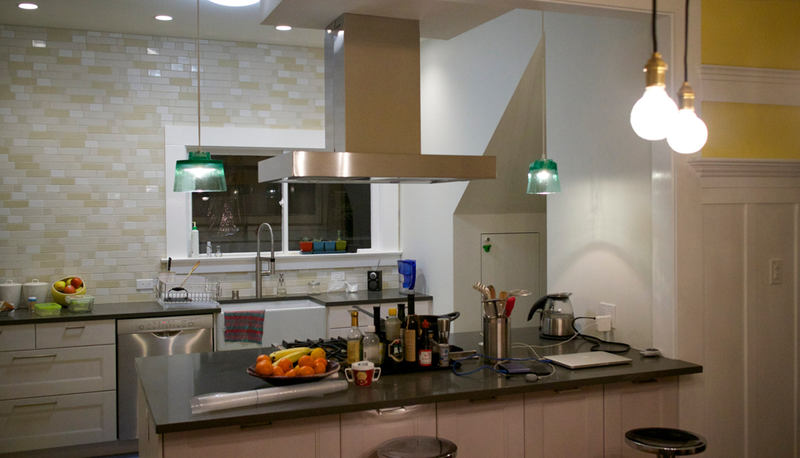 Within the kitchen, the wall between the kitchen and dining area was removed, and an area was added below the stairway to increase space in the kitchen, and create a custom nook for the refrigerator. 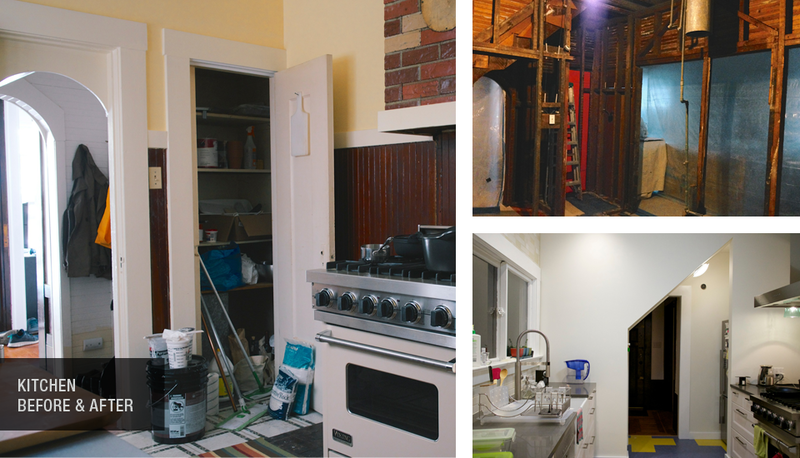 Off of the kitchen, an old pantry was converted into an efficient 2 piece powder room, increasing functionality of the lower level. 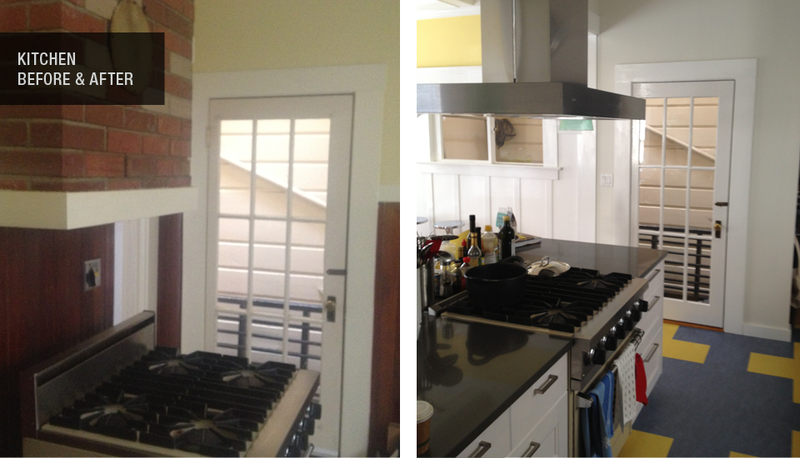 Project included: Kitchen area gut, reframe new layout, drywall, plumbing, and electrical.